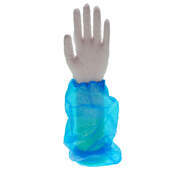 Polythene Gloves are used to offer basic protection from dust and dirt. 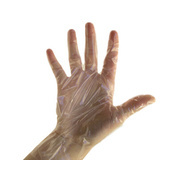 They are frequently used when preparing sandwiches and for people undertaking messy tasks, preparing food in kitchens or even taking the rubbish outside. 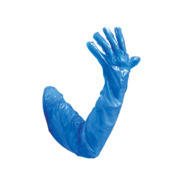 We stock both clear and blue disposable polythene and oversleeves in polythene and gauntlet polythene gloves.